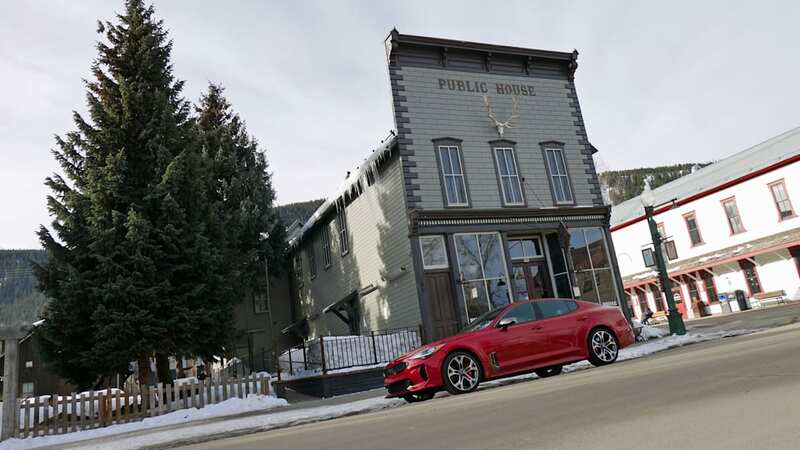 2018 Kia Stinger GT in Crested Butte, Colo.
2018 Kia Stinger GT in Portland, Ore.
Making a quick stop on the main street in Crested Butte, Colo.
Pausing along the East River in Colorado, between Crested Butte and Gunnison. The ice on the river was easily 6 feet deep in spots. 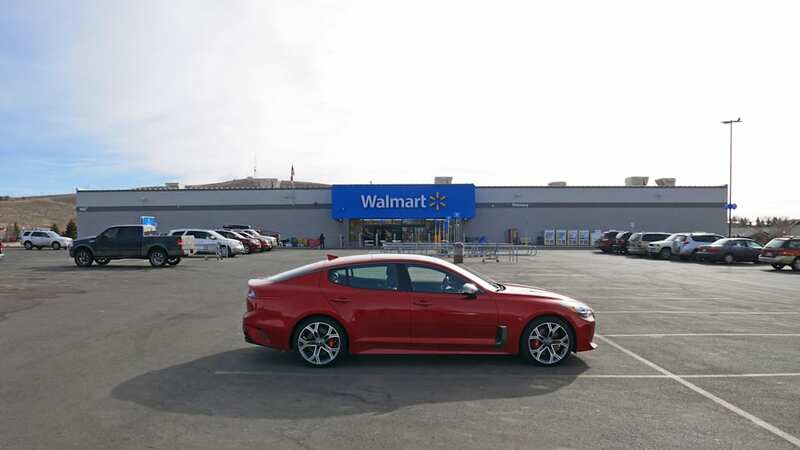 The world's smallest Walmart in Gunnison, Colo. Behold its glory. 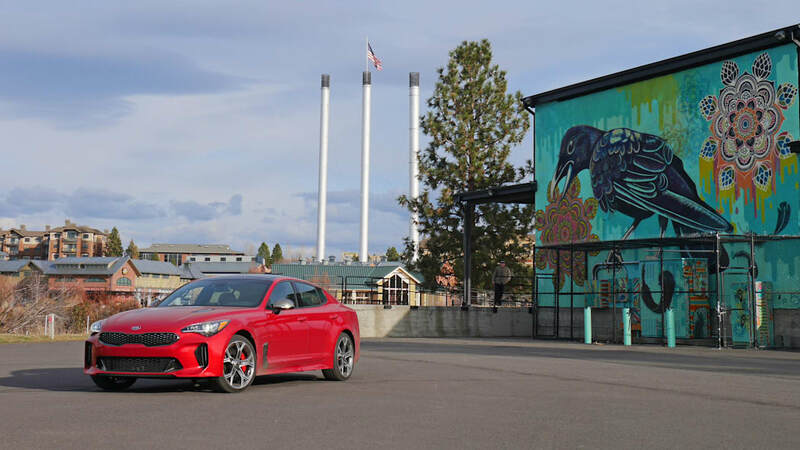 2018 Kia Stinger GT in Bend, Ore.
Three smoke stacks once towered over the lumber mill in Bend, Ore. Today, their replacements tower over an REI and the Old Mill shopping district. What started in the snow of Colorado ends in the rain of Portland under the St. Johns Bridge. A truly great steering wheel. 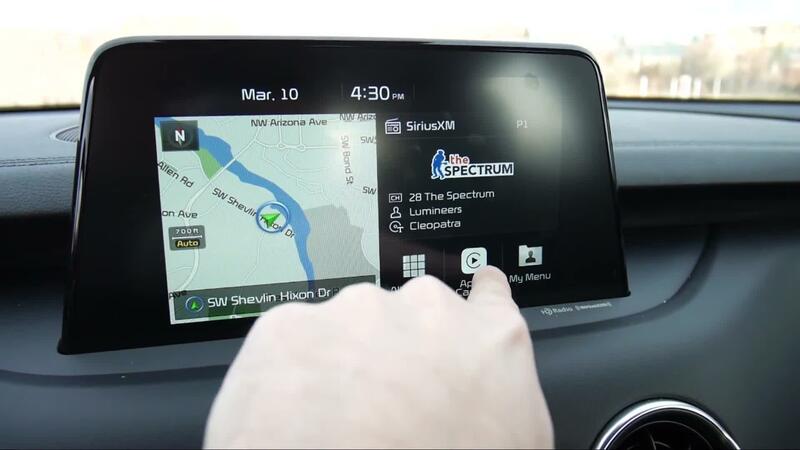 The Kia navigation system clearly shows you which lanes to take. Very nice. 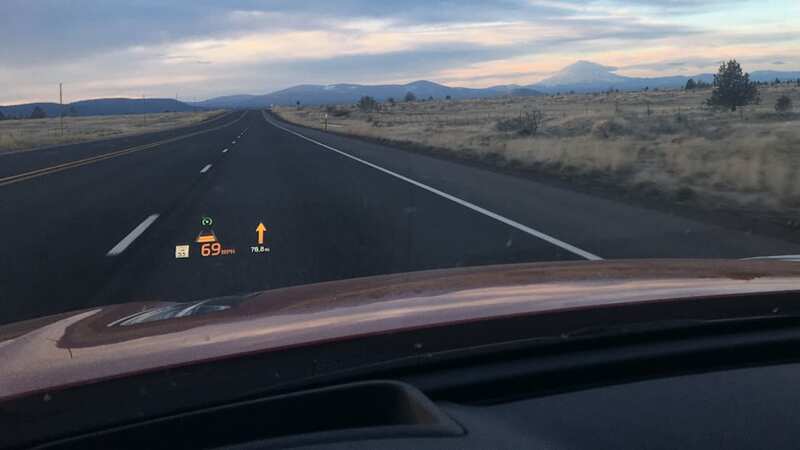 The head-up display with Mt. Hood in the distance. 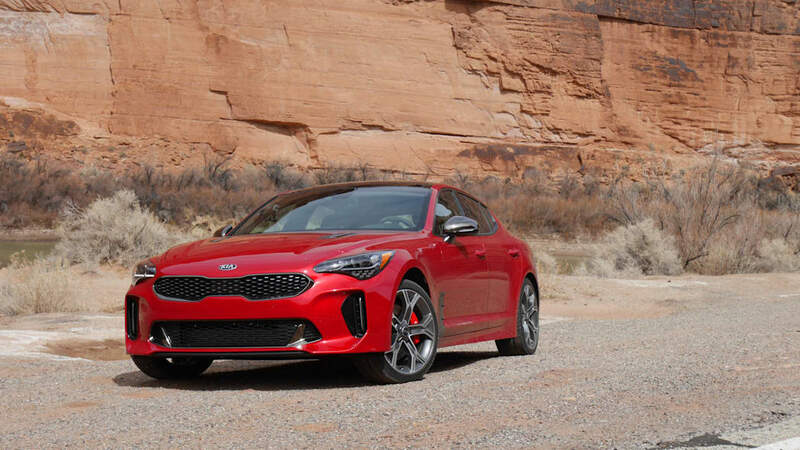 They call the 2018 Kia Stinger a GT. It's powerful and sleek with a low-slung seating position, quick steering and, even with all-wheel drive, a tail-happy nature. It looks killer in red. And with its V6-powered engine, the letters GT are even festooned upon its liftgate. Well, that's nice, but how does it actually deliver on the grand-tourer formula of rapid, comfortable and stylish transportation? 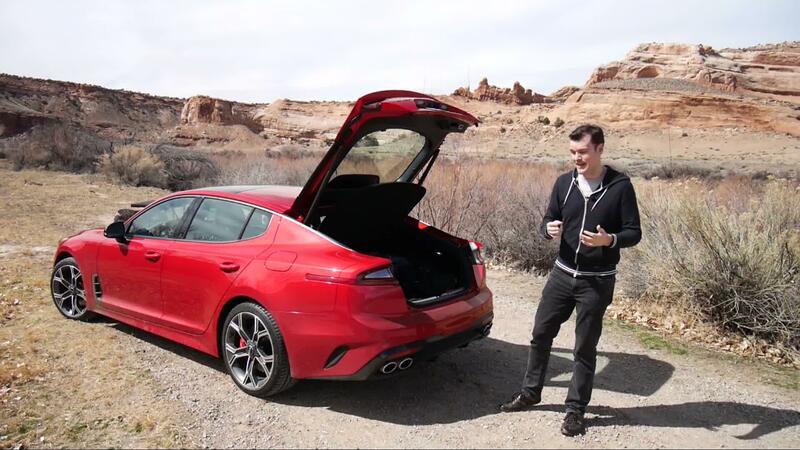 Well, to find out, I put the Stinger GT to a grand-touring test. Starting in the western Rockies and the remote ski town of Crested Butte, Colo., my destination would be home in Portland, Ore. The Google-suggested way is 18 hours on mostly Interstates 70, 15 and 84. However, interstates are boring and are better suited to a perfectly capable but utterly soulless family transportation appliance. A proper grand tour should include two-lane highways and scenic detours, so that's exactly what I'd do. It would add hours and miles, but also, most hopefully, a vastly more memorable experience. Well, as my photos will attest, the scenery didn't disappoint. 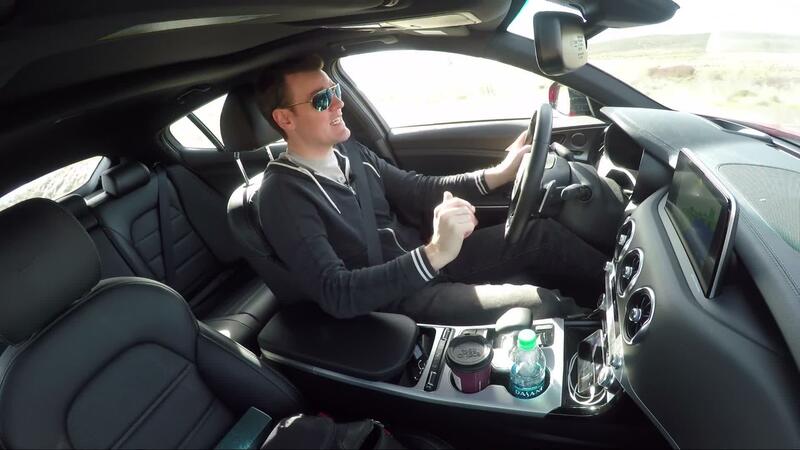 And, as you'll see in the videos, neither did the Stinger. Episode 2: It's a hatchback! Crested Butte is way off the beaten path, a charming mountain village deep in the western Colorado Rockies mostly free from the usual uber-commercial, Disney-like feel of ritzier, easier-accessed ski towns. Its main street thoroughfare, authentically Western rather than engineered to be so, is surrounded by scattered subdivisions and majestic mountains beyond. It had been buried in 9 feet of snow just a few weeks prior. The local citizenry didn't seem particularly bothered by that. 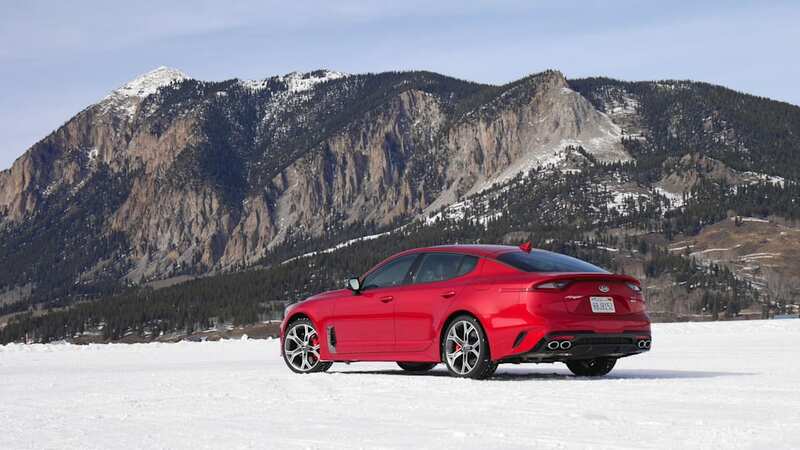 Though most of that 9 feet had melted, the ground was still very much white, requiring the Stinger GT to shed its usual summer rubber in favor of Michelin Pilot Alpin PA4 winter tires. 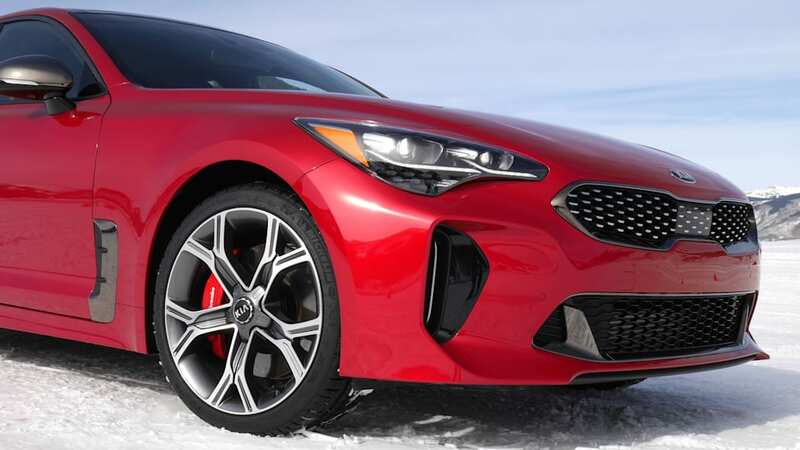 These are specifically intended for performance car applications like the Stinger, sacrificing just a smidge of icy traction in favor of superior handling and steering feel when on dry pavement. 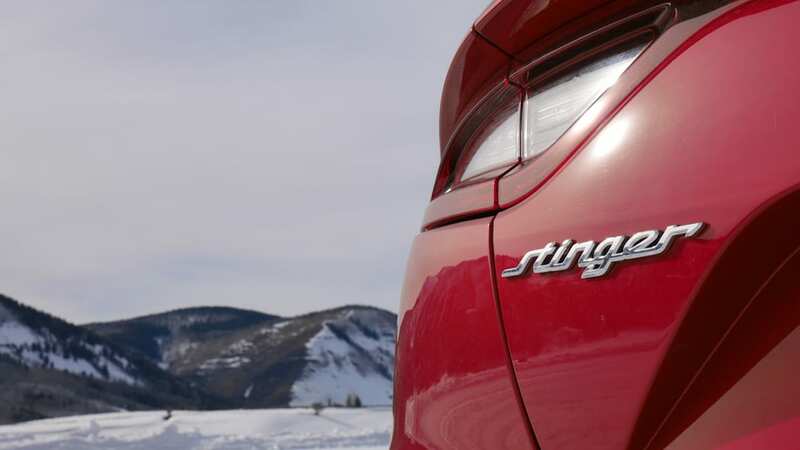 There's no need to delay the verdict here: after 1,400 miles, the Stinger felt just as generally compelling and dynamic on the Alpins as when I drove it last November in Southern California on summer tires. 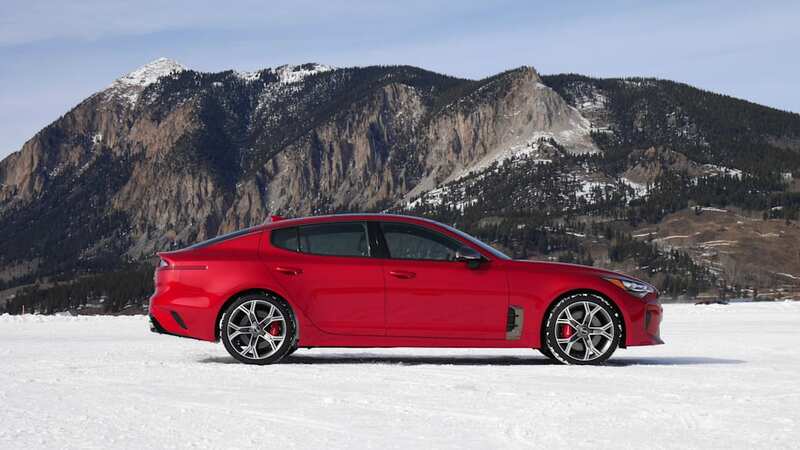 The other half of the Stinger's snow defense is the GT's optional all-wheel-drive system, which adds $2,000 to its price tag (as-tested $52,300). 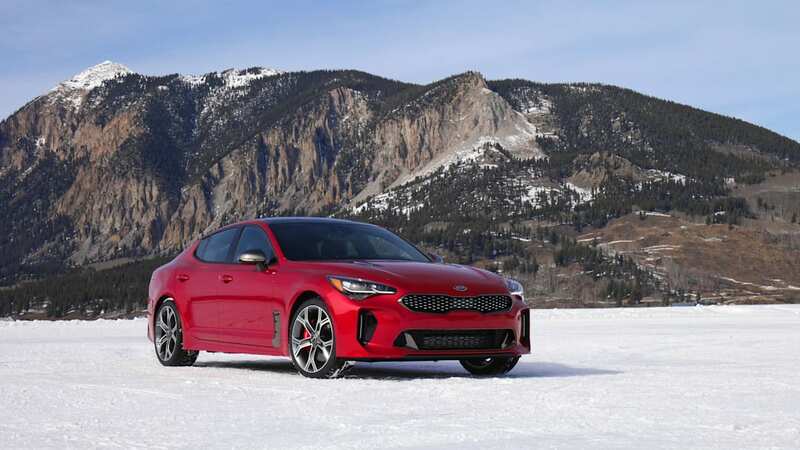 Developed in-house by Hyundai/Kia, it is a performance-oriented, rear-biased system comparable to others produced by luxury makers like Mercedes-Benz and Jaguar. In normal "Comfort" mode, the typical torque split is 40/60 front/rear, while switching the car into "Sport" results in a 20/80 split. It can send as much as 100 percent rearward if necessary, while the brakes pinch the inside wheels to create torque-vectoring lite. The stability control is also tempered while in Sport. 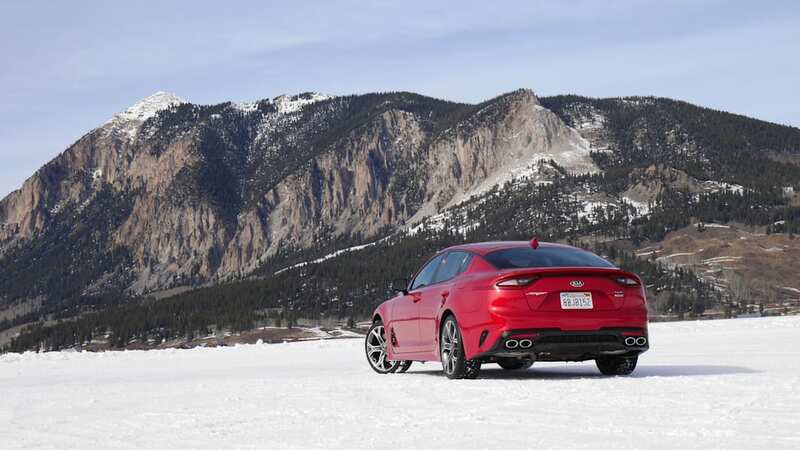 The result is a car that maintains a rear-drive feel, which is great, because it would be a real shame to introduce a bunch of understeer into such an otherwise sharp, dynamically gifted car. 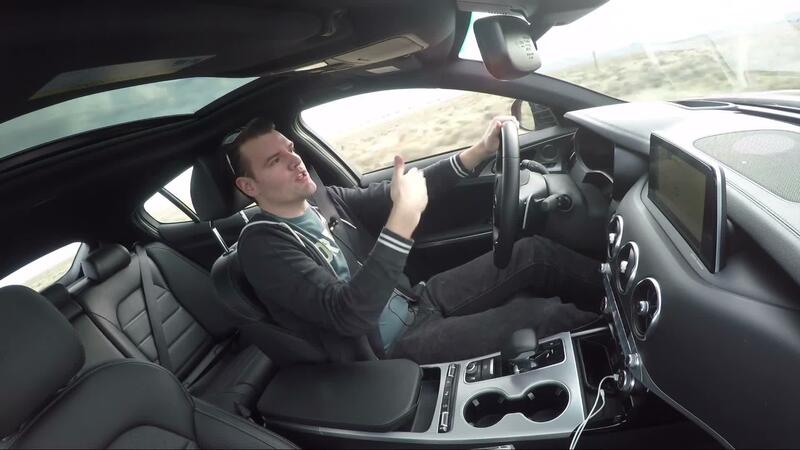 The quick, feelsome steering is particularly special. 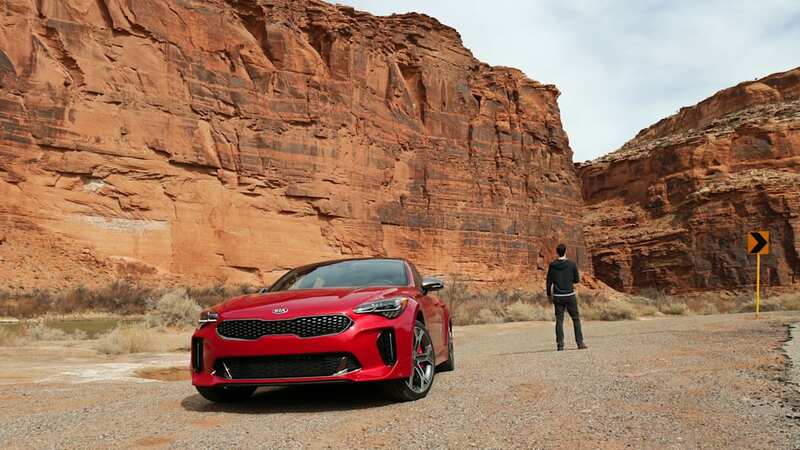 It was an absolute delight to grip the small and perfectly contoured wheel while guiding the Stinger through the gently winding foothills and canyon roads leading from Crested Butte and toward my first detour through spectacular Moab, Utah. 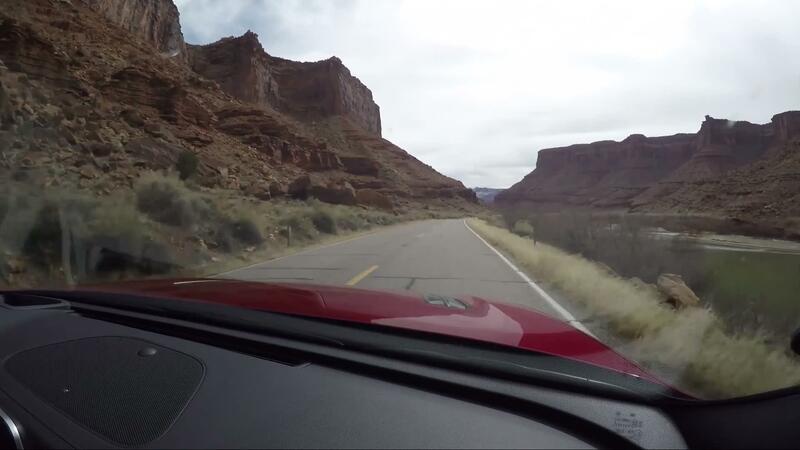 After the briefest of stretches on I-70, my grand tour turned north toward Salt Lake City on U.S. highways 191 and 6. 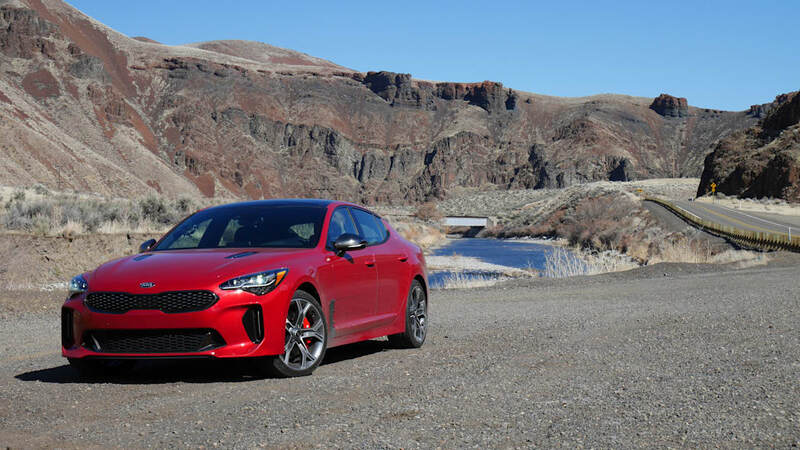 Cutting their way through desolate high desert and rolling hills, these two-lane roads provide a good test for the Stinger's available driver aids included on the as-tested GT2. 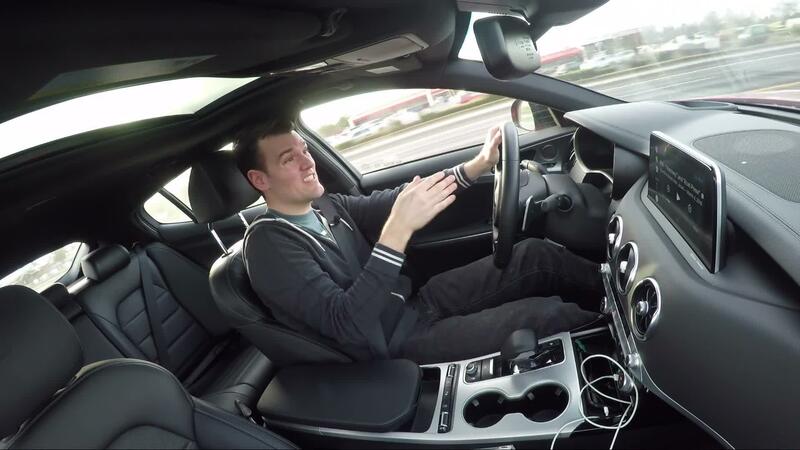 I discuss how the adaptive cruise control, lane keeping and driver inattention monitor systems work in the video below. There's no shortage of other equipment on the GT2, which despite the humble Kia badge, really does give the impression of a proper luxury car. Special to the GT2, quilted Nappa leather seating wraps a 16-way driver seat with ventilation, adjustable side bolsters and power thigh extension. 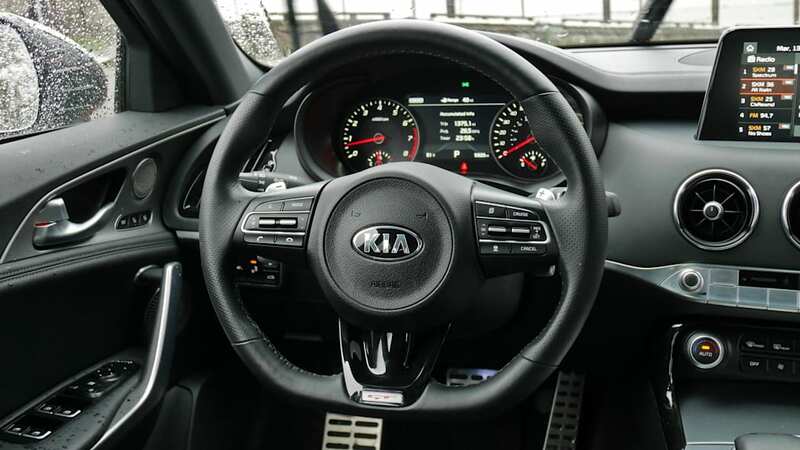 A power-adjustable steering wheel helps achieve a near-perfect, low-slung driving position that's indeed more indicative of a GT than a sport sedan. 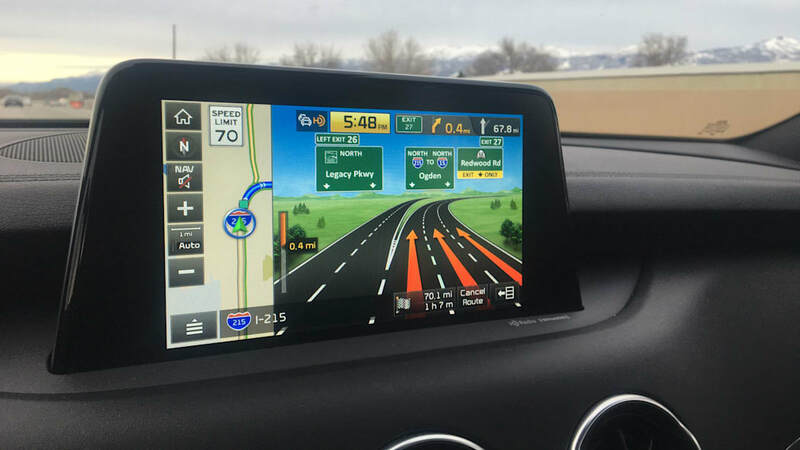 Salt Lake City to Bend, Ore.
A still-scenic, but comparatively mind-numbing journey through Idaho on Interstate 84 revealed the Stinger's quick steering to be a detriment on the wide-open road. 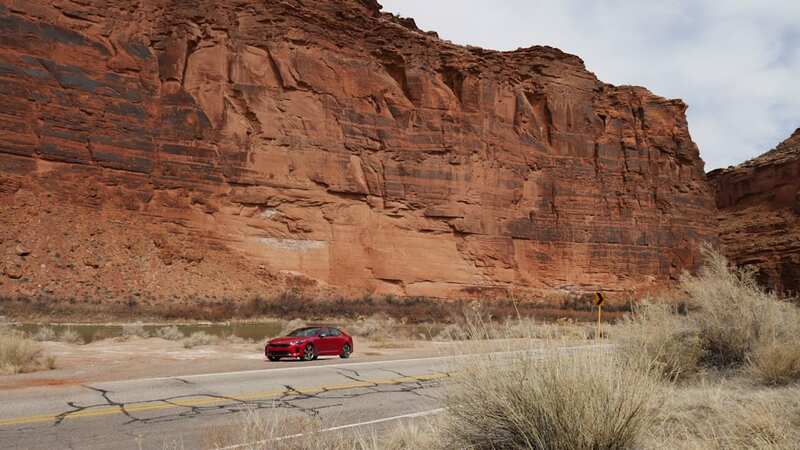 It requires more correction and therefore attention than its German sport sedan rivals do, reacting more readily to crosswinds and pavement grooves. 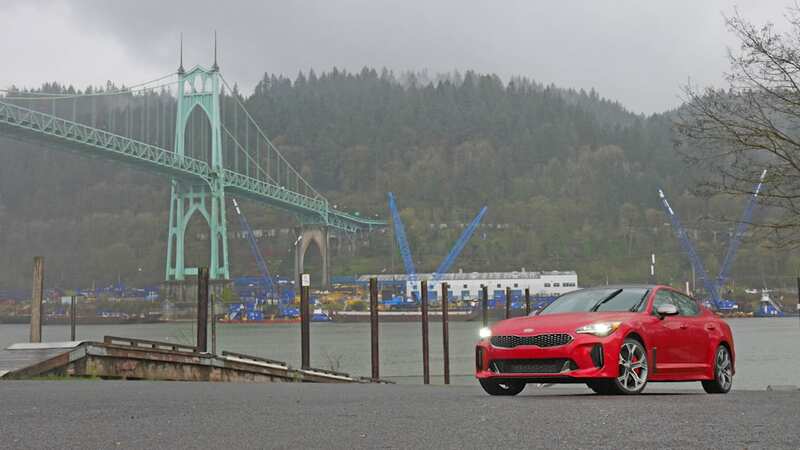 Though the Stinger's adaptive suspension and resulting ride quality are excellent — think a well-damped BMW 5 Series from two generations ago — the steering makes for a less-than relaxing interstate vehicle. One wonders how it would behave on the Autobahn. At least it would have enough engine for it. 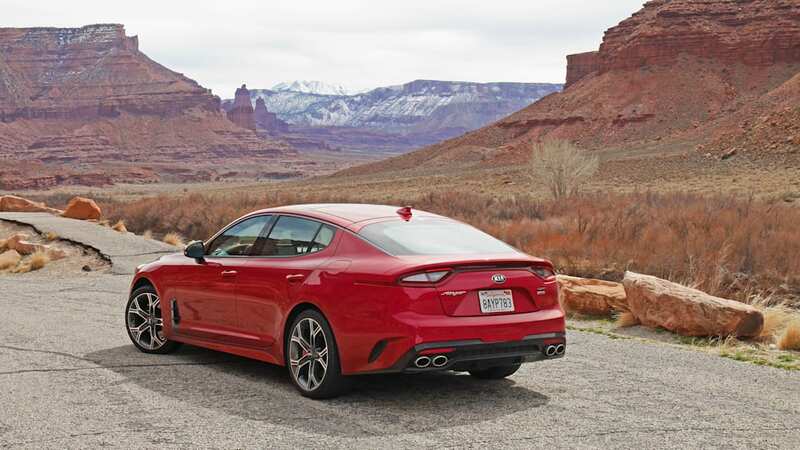 The GT trim is powered by a 3.3-liter twin-turbocharged V6 good for 365 horsepower and 376 pound-feet of torque, an output that exceeds the Audi S5 Sportback and the BMW 440i Gran Coupe. Acceleration is clocked by Kia from zero to 60 mph in 4.7 seconds, a time that would split the difference between the Audi and BMW. That's all well and good, but on the highway, it's passing power that matters. 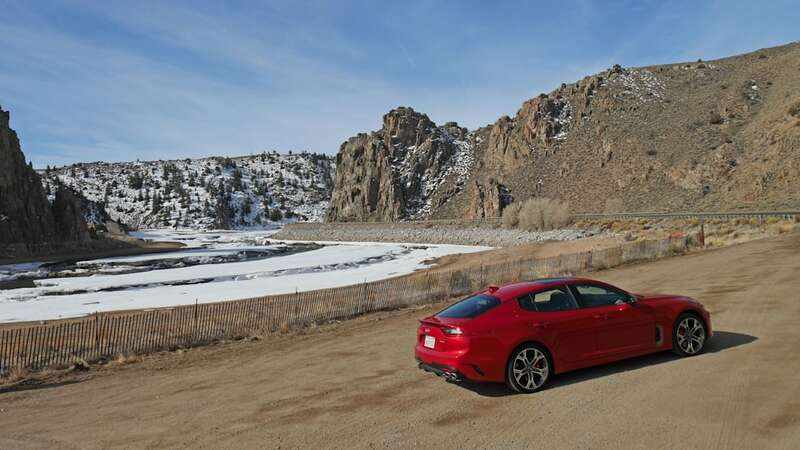 After exiting I-74 and briefly returning the Stinger to its home turf through a majestic series of canyons, Eastern Oregon's two-lane Highway 20 provided plenty of passing opportunities. 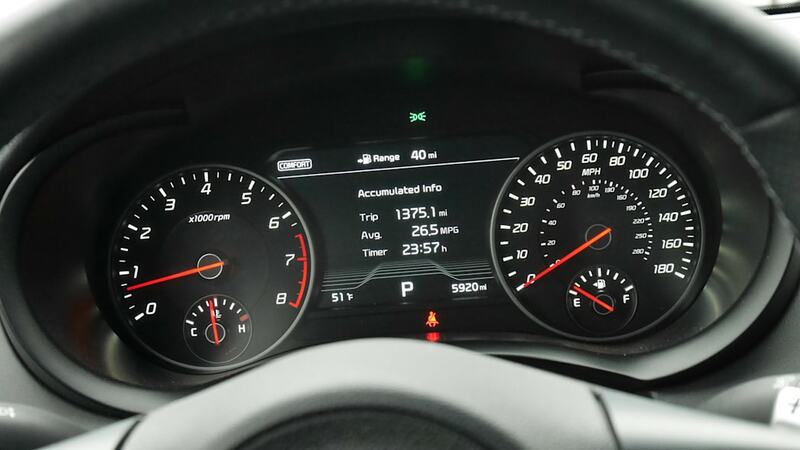 There's no buildup of speed needed, no requirement to floor the accelerator — just punch the throttle, watch the speedometer whip up to triple digits, and then brake back to cruising speed having easily dispatched slower traffic. The only drama comes from the deep engine note piped into the cabin. A few extra horns are added to its orchestra when in Sport. 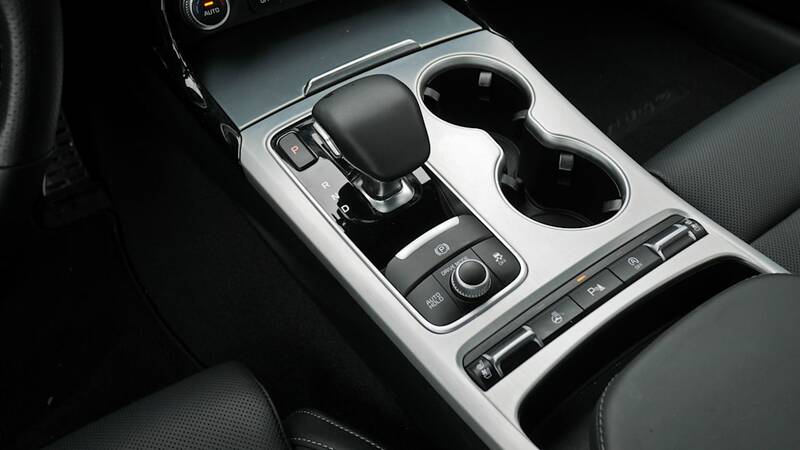 The transmission is an eight-speed automatic, also developed in-house by Hyundai/Kia. 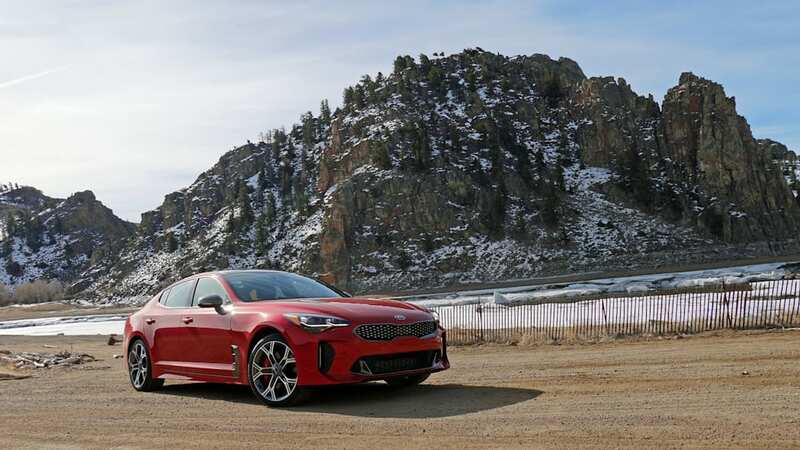 Though perfectly responsive when punching the throttle and seemingly free of bad habits, it's hard not to think that the Stinger, like so many great GT cars, would be even more memorable with a manual transmission. You know, like the one apparently finding its way into the mechanically related Genesis G70. 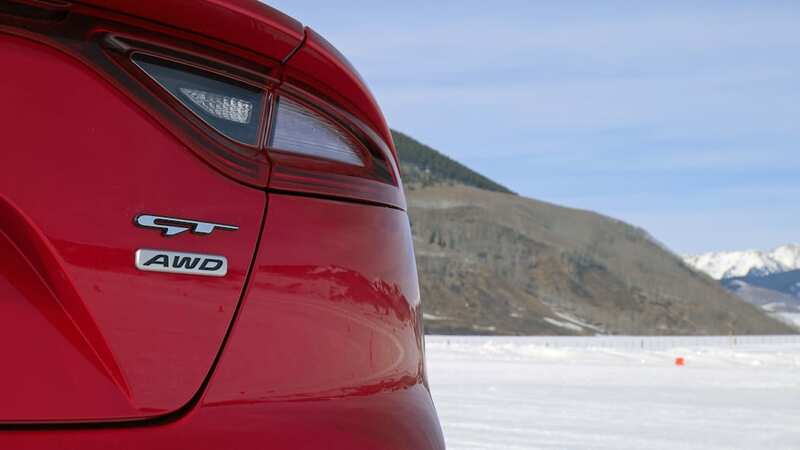 The EPA estimates that every GT, regardless of rear- or all-wheel drive, should return 25 mpg on the highway. I managed 26.8 mpg during my nearly 1,400-mile drive. Highway 20 comes to its conclusion in Bend, a beer-drenched outdoorsman's paradise at the base of the Cascades. Split in two by the Deschutes River and surrounded by pine forest, it has 91,000 residents and 19 breweries. With temperature hovering around 50, I crack the windows and enjoy the fresh mountain air with the occasional whiff of brewing beer wafting down from Deschutes Brewery. It's then when I started to appreciate just how quiet the Stinger is, which further satisfies the luxury criteria of a proper GT car. 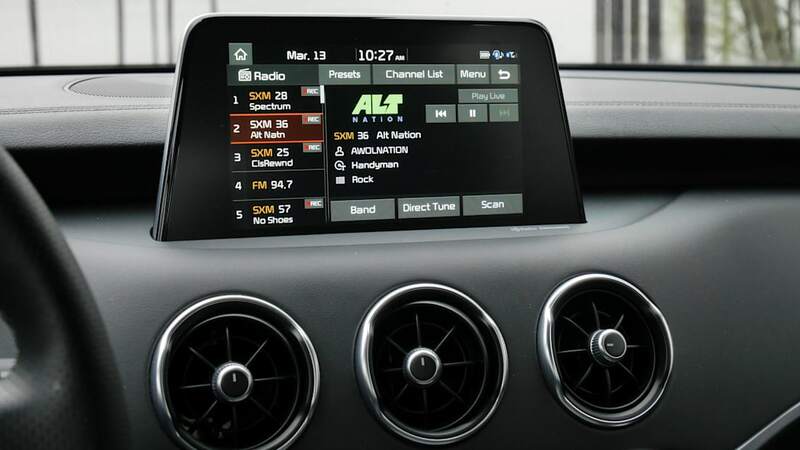 It certainly makes things easier for the truly knock-out 15-speaker Harman/Kardon surround sound system, and listening on the move was made easier by Apple CarPlay, included standard on every Stinger along with Android Audio. It's controlled by either a standard 7-inch touchscreen or the 8-inch touchscreen included on the Premium, GT1 and GT2 trim levels. 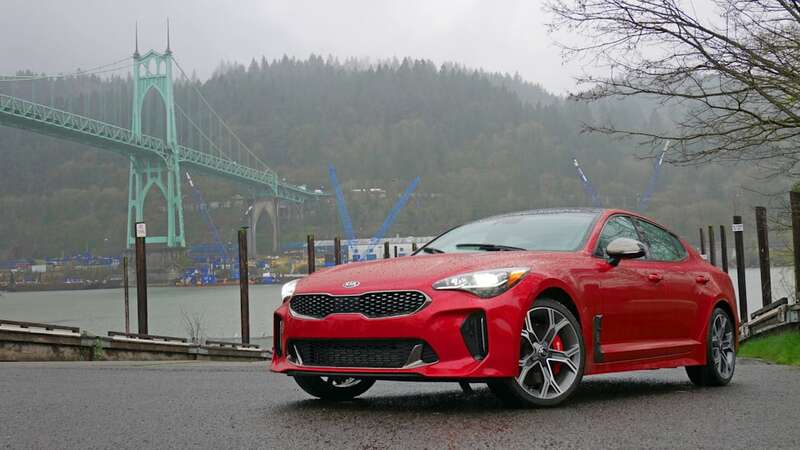 See the below video for additional thoughts on how the Stinger's tech fared during an extended test. Mount Hood to Portland, Ore.
Mount Hood is in between Bend and Portland, requiring a drive through the mountainous terrain surrounding the stratovolcano. 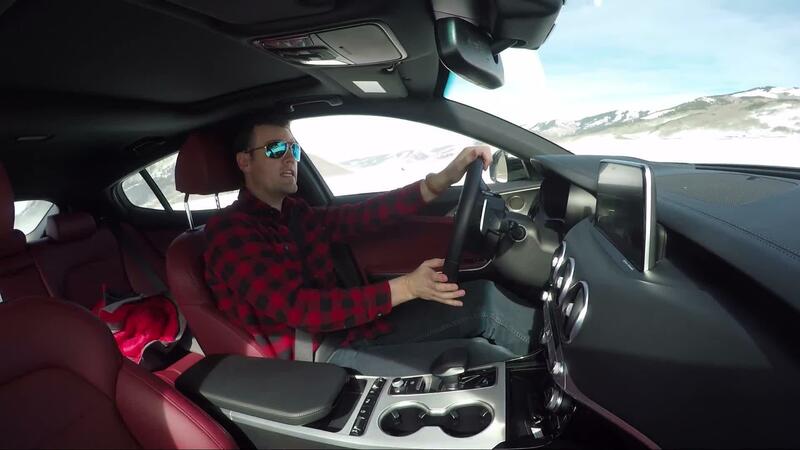 This would actually be the most hazardous driving conditions I would experience, and the Michelin Pilot Alpin tires provided peace of mind and extra grip in the face of wet roads and temperatures falling toward freezing. 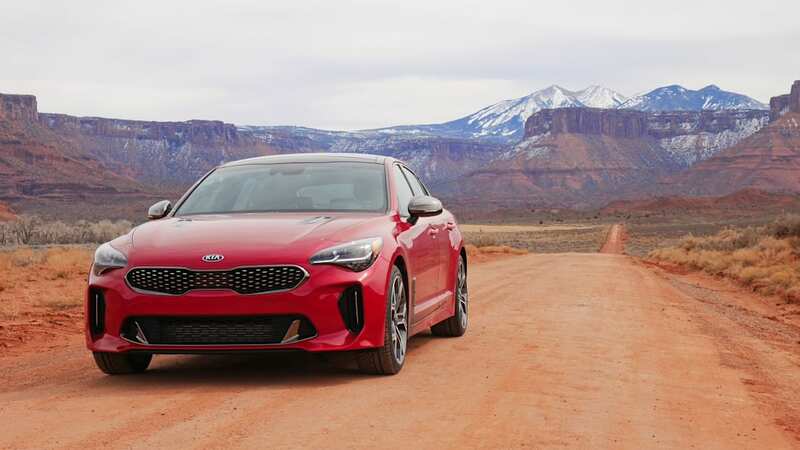 This would be the home stretch and it would provide the Stinger one more opportunity to shine on the winding roads where it continuously proved to be most at home. 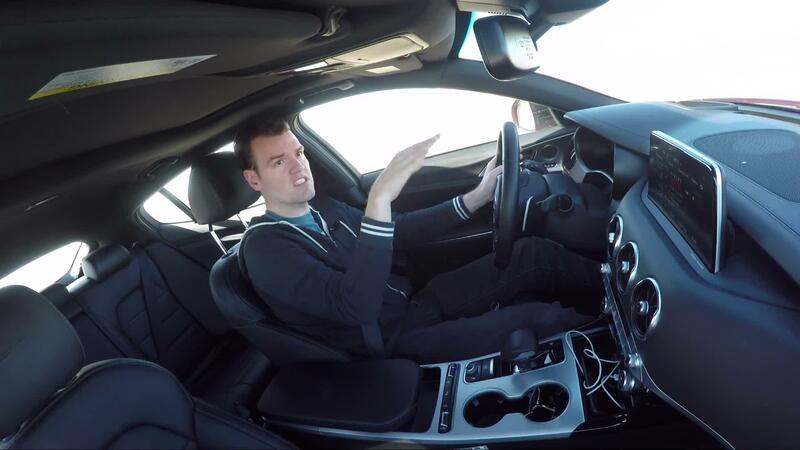 It just feels like an extension of your hands and body, far more so than the disagreeably and disappointingly distant BMW 440i, and perhaps a tad more playful than the Audi S5. 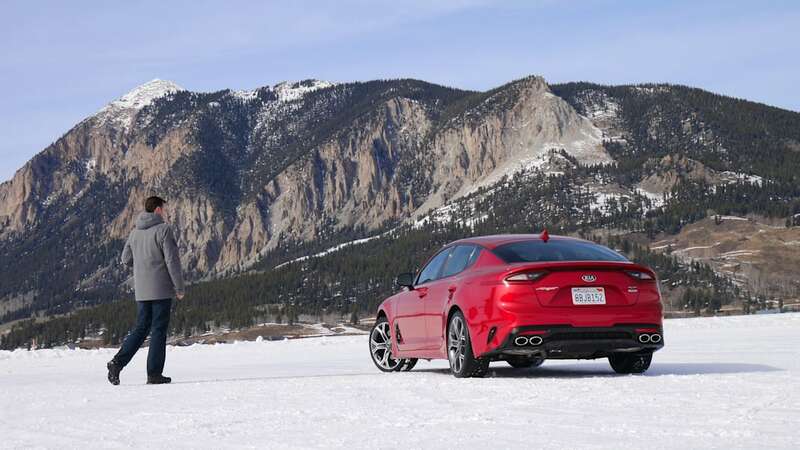 At the same time, it still follows the grand-touring playbook of offering a ride that won't beat you up, a cabin that pampers, and of course, styling that makes you swoon after returning from each pit stop. True, its quick steering made my decision to avoid interstates a prescient one, but it's no dealbreaker. 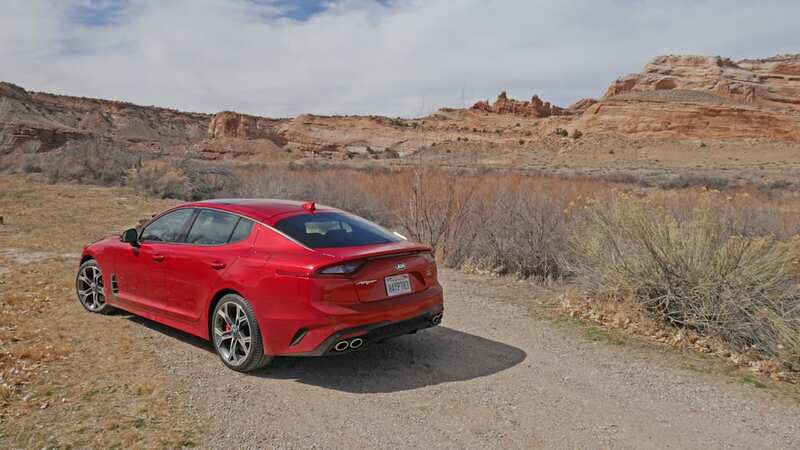 A GT should be more involving — for better and for worse — than a sport sedan, and indeed, my western road trip proved the Stinger deserves the letters on its liftback. 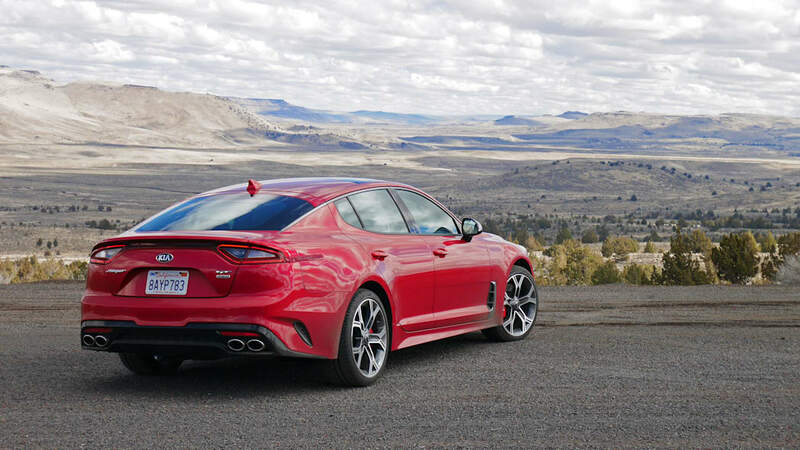 Even if it had been a Google-approved interstate slog, choosing the Stinger over a perfectly capable but utterly soulless family transportation appliance would've been easy.